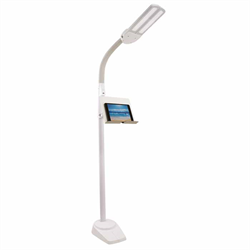 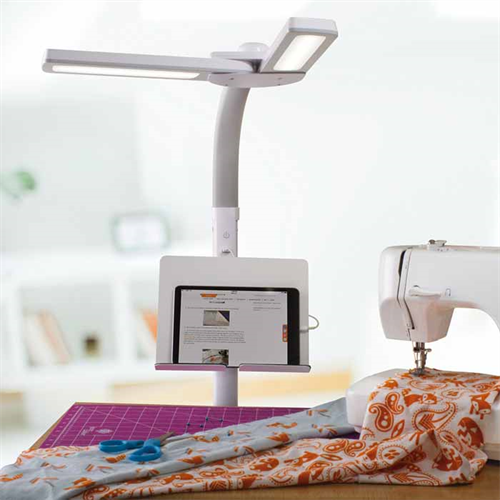 With a dual head design that pivots to 180 degrees (or anything in between), the Dual Shade LED Floor Lamp with USB Charging Station is the perfect crafting lamp! Easily change the 4 brightness levels to meet your workspace illumination needs. 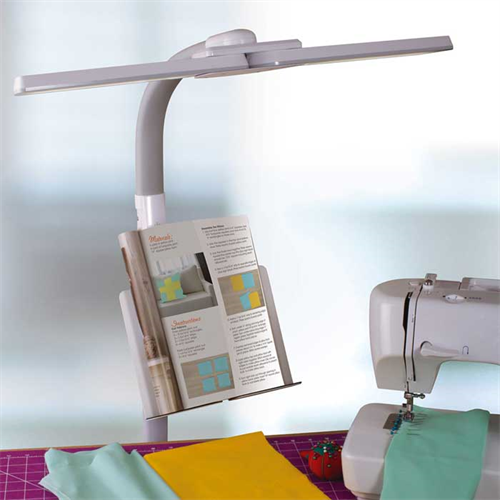 Adjustable and convenient, the stand helps securely holds your tablet or smartphone so you can have quick access to your electronic patterns, projects and instructions. 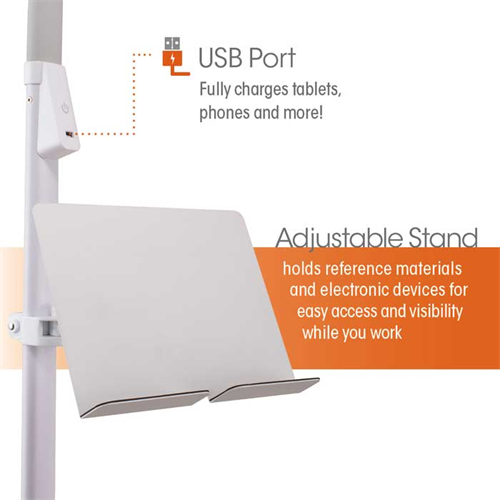 You’ll also be sure to stay fully connected and charged with the convenient 5V, 2.1A USB port. 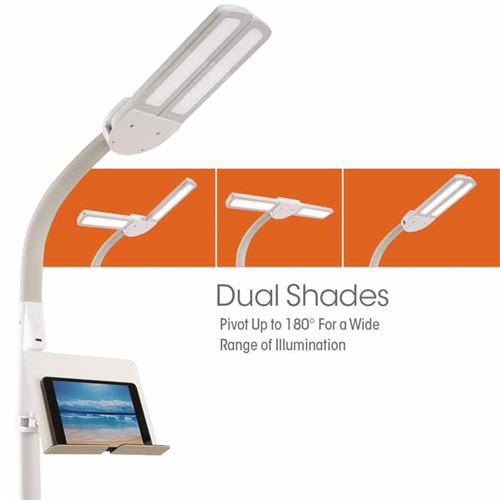 With OttLite you’ll see every color accurately and detail clearly with reduced glare and eyestrain so you can do what you love, longer.